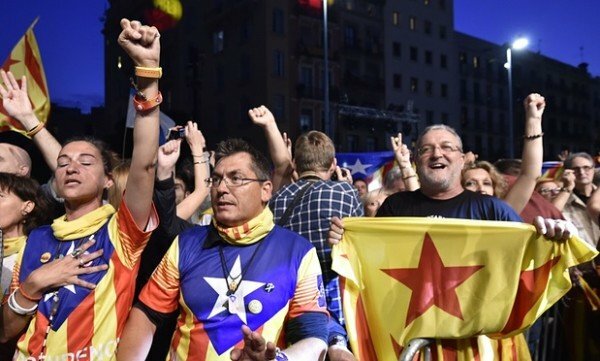 Home Tags Posts tagged with "catalonia independence"
Catalonia’s regional parliament has voted to declare independence from Spain, while the Spanish parliament has approved direct rule over the region. 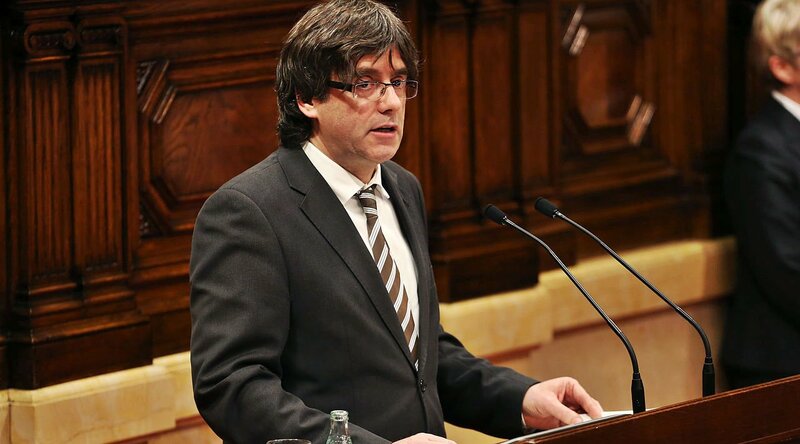 Catalan lawmakers easily approved the move amid an opposition boycott. 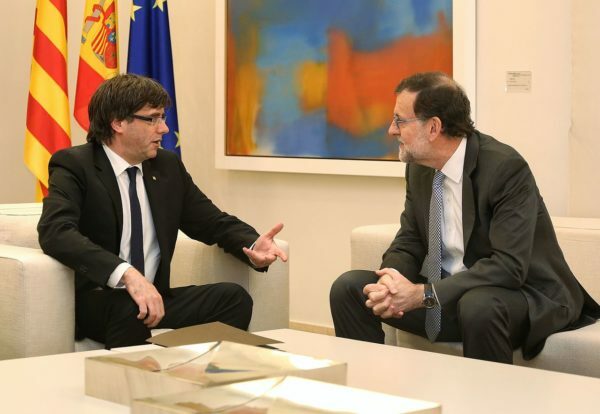 PM Mariano Rajoy had told senators direct rule was needed to return “law, democracy and stability” to Catalonia. The crisis began on October 1, when Catalonia held a controversial referendum on independence. 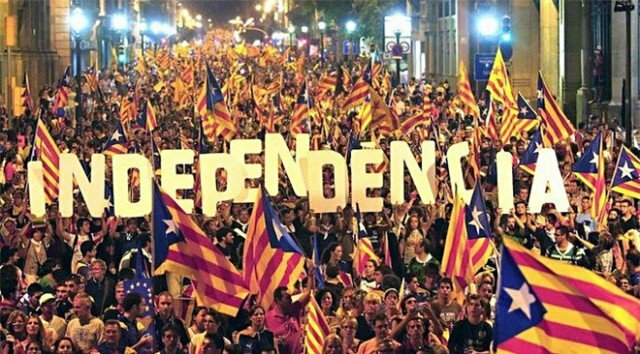 The Catalan government said that of the 43% of potential voters who took part, 90% were in favor of independence. However, Spain’s Constitutional Court had ruled the vote illegal. A motion declaring independence was approved on Friday with 70 in favor, 10 against, and two abstentions in the 135-seat chamber. 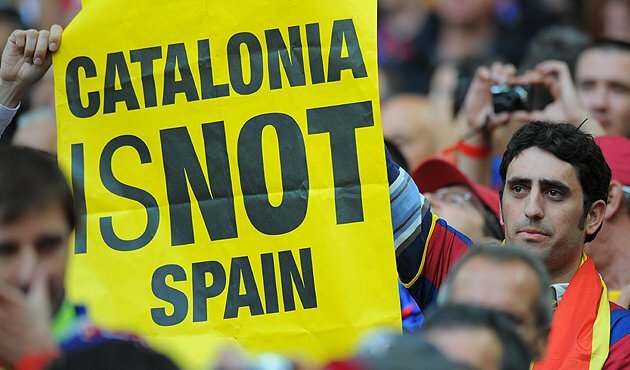 However, the Constitutional Court is likely to declare it illegal, while the US, UK, Germany and France all expressed support for Spanish unity. Catalonia’s President Carles Puigdemont has called for supporters to “maintain the momentum” in a peaceful manner. Catalonia’s independence referendum has begun despite Spanish police’s attempt to prevent the vote from taking place. The Spanish government has pledged to stop a vote that was declared illegal by Spain’s constitutional court. The interior ministry says police officers began seizing ballot papers and boxes as the polls opened. Riot police blocked potential voters from entering a polling station in the regional capital Barcelona. Thousands of separatist supporters occupied schools and other buildings that have been designated as voting centers ahead of the polls opening. Many of those inside are parents and their children, who remained in the buildings after the end of lessons on September 29 and bedded down in sleeping bags on gym mats. Police insisted polling stations would not be allowed to open, and that those inside would be evicted. On October 1, dozens of national police vehicles left their base in the port of Barcelona as officers were deployed. Referendum organizers have called for peaceful resistance to any police action. Catalan government officials have predicted a big turnout. The referendum has been declared illegal by Spain’s constitutional court, and thousands of extra police officers have been sent to the region. The Spanish government has put policing in Catalonia under central control and ordered the regional force, the Mossos d’Esquadra, to help enforce the ban. 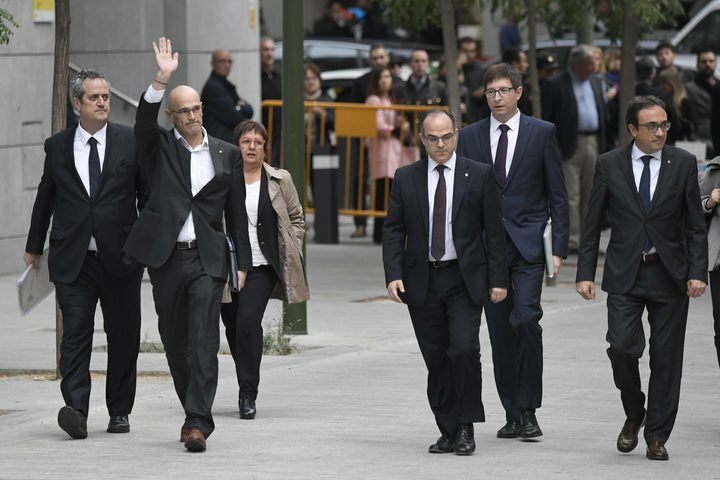 In a show of force ahead of the poll, Spanish authorities have seized voting materials, imposed fines on top Catalan officials and temporarily detained dozens of politicians. Police have also occupied the regional government’s telecommunications center. The head of the Catalan police has urged officers to avoid using force. It also has a high degree of autonomy, but is not recognized as a separate nation under the Spanish constitution. 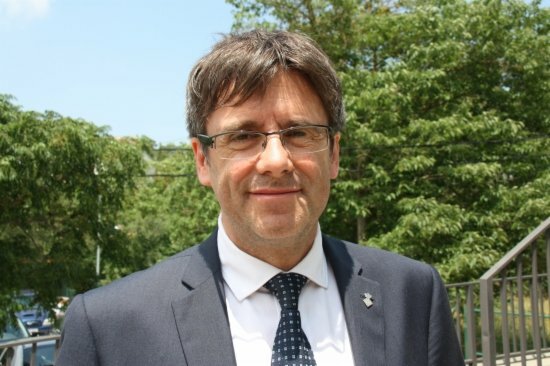 However, Spanish unionists argue Catalonia already enjoys broad autonomy within Spain, along with other regions like the Basque Country and Galicia. 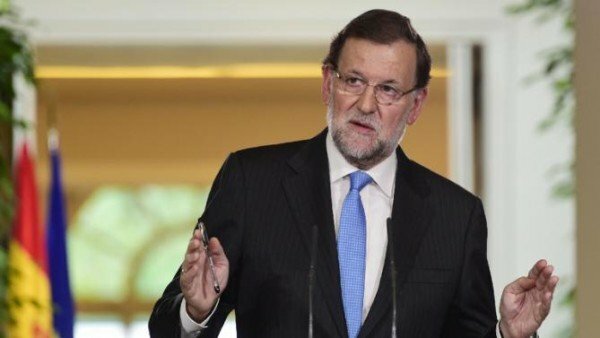 PM Mariano Rajoy says the vote goes against the constitution, which refers to “the indissoluble unity of the Spanish nation, the common and indivisible homeland of all Spaniards”. Demonstrations by independence campaigners have been largely peaceful. On the eve of the vote, thousands of demonstrators calling for Spanish unity held rallies in cities across the country, including in the Catalan capital Barcelona. They waved Spanish flags and carried banners reading “Catalonia is Spain”. Catalonia’s pro-independence parties have won an absolute majority in Spain’s regional elections, early results show. Spain’s central government has pledged to block such moves in court. With nearly 94% of the votes counted, the “Junts per Si” (“Together for Yes”) won 62 seats, while the far-left separatist CUP party is expected to secure 10 mandates. “We have won,” Catalan regional President Artus Mas told his cheering supporters late on Sunday. They argue that the Spanish government has consistently refused to allow a legally recognized referendum to take place, ignoring an unofficial vote backing independence in November 2014. Opinion polls suggest a majority of Catalans favor a referendum on independence but are evenly divided over whether they want to secede. Polling stations in the wealthy north-eastern province opened at 09:00 local time and closed at 20:00. More than five million people were eligible to vote. 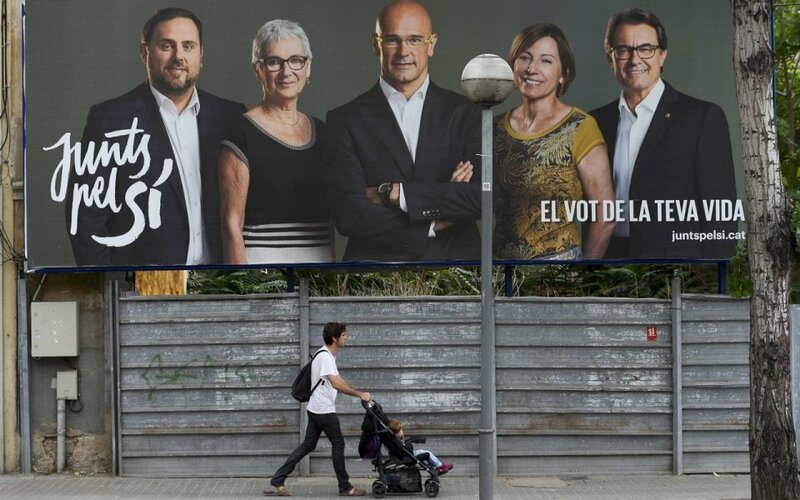 Arturo Mas’ ruling Convergencia party and the Esquerra Republicana party put up a single list of candidates – under the “Together for Yes” banner. The anti-independence vote in Catalonia was split between a number of groups, including Spain PM Mariano Rajoy’s Popular Party. The centre-right government in Madrid has described any breakaway plans as “a nonsense”. 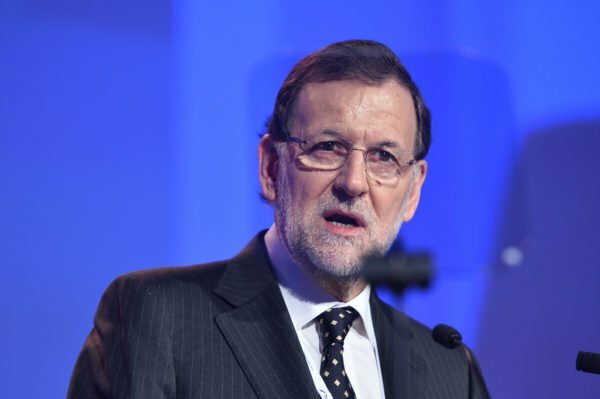 Mariano Rajoy argues that because the loss of Catalonia would affect all of Spain, the democratic approach would be for all of the country to vote in a referendum on Catalonia’s future. Catalonia is voting in regional elections that nationalist parties hope will set them on the road to independence from Spain. Two separatist parties have joined forces, and are aiming to secure a majority of seats in parliament – 68 out of 135. They say this would allow them to unilaterally declare independence within 18 months. Spain’s central government in Madrid has pledged to block in court such moves. Polls suggest a majority of Catalans favor a referendum on independence but are evenly divided over whether they want to secede. Polling stations in the wealthy north-eastern province have opened open at 09:00 local and will close at 20:00. More than five million people are eligible to cast their votes. 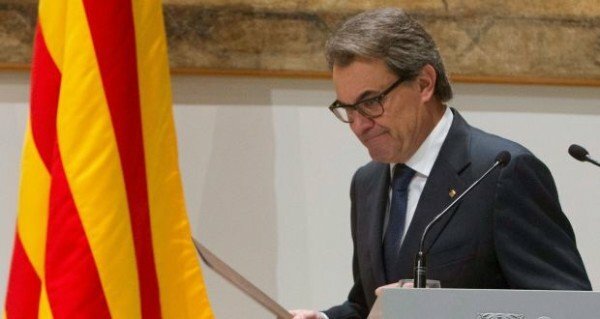 Artur Mas’ ruling Convergencia party and Esquerra Republicana have created a single list of candidates – under the banner “Junts pel Si” (Together for Yes). They say that September 27 vote is a de facto referendum on independence from Spain. They argue that the Spanish government has consistently refused to allow a legally recognized referendum, ignoring an unofficial vote backing independence in November 2014. The anti-independence vote in Catalonia is split between a number of groups, including Spanish PM Mariano Rajoy’s Popular Party. At the same time, if “Together for Yes” fails to gain a majority it would be tantamount to a serious defeat for the pro-independence movement. More than 80% of voters backed the independence of Catalonia during an informal poll, officials say. The non-binding vote went ahead after Spain’s constitutional court ruled out holding a formal referendum in the autonomous north-eastern region. More than two million people out of an estimated 5.4 million eligible voters took part in the ballot. Catalan leader Artur Mas hailed the poll “a great success” that should pave the way for a formal referendum. “We have earned the right to a referendum,” he told cheering supporters. 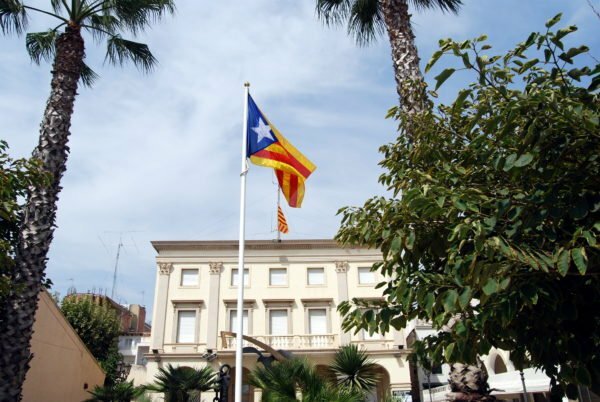 The ballot was held in the face of fierce opposition from the Spanish government. 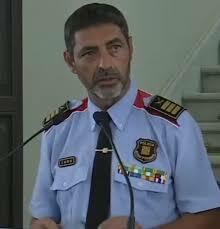 Speaking beforehand, Spanish Justice Minister Rafael Catala dismissed the exercise as “fruitless and useless”. 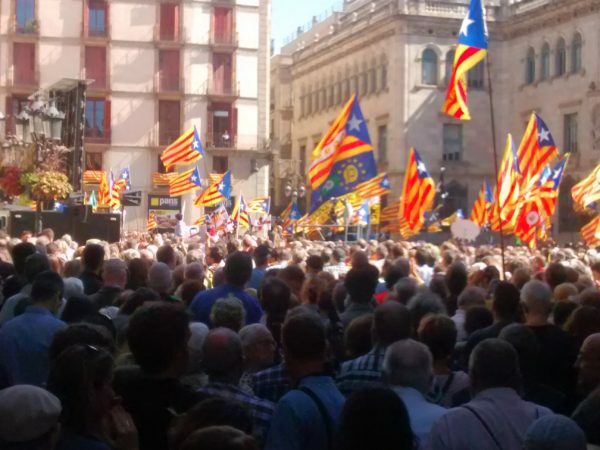 “The government considers this to be a day of political propaganda organized by pro-independence forces and devoid of any kind of democratic validity,” he said in a statement. 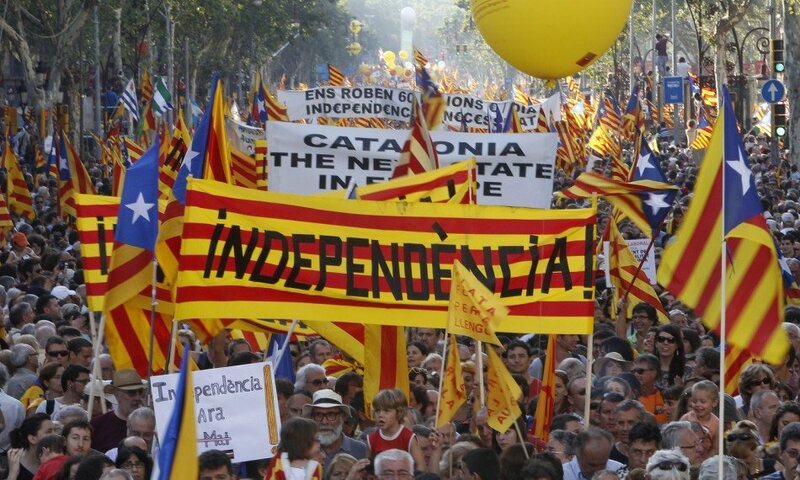 Voters were asked two questions – whether they wanted Catalonia to be a state and whether they wanted that state to be independent. Vice President Joana Ortega said that more than two million people had taken part in the “consultation of citizens” and that with almost all votes counted, 80.72% had answered “Yes” to both questions. Just over 10% voted yes for the first question and no for the second, he said, and about 4.5% voted no to both questions. Opinion polls suggest that as many as 80% of Catalans want an official referendum on the issue of Catalonia’s status, with about 50% in favor of full independence. Spanish unionist parties argue that because the ballot was organized by grassroots pro-independence groups it cannot legitimately reflect the wishes of the region. More than 40,000 volunteers helped to set up and run the informal exercise. The Catalan National Assembly pressure group collected signatures at polling stations on a petition to be sent to the UN and the European Commission asking for help to convince Spain to allow an official referendum. Nationalism in Catalonia has been fuelled by economic and cultural grievances. The wealthy region of 7.5 million people contributes more to the Spanish economy than it gets back through central government funds.